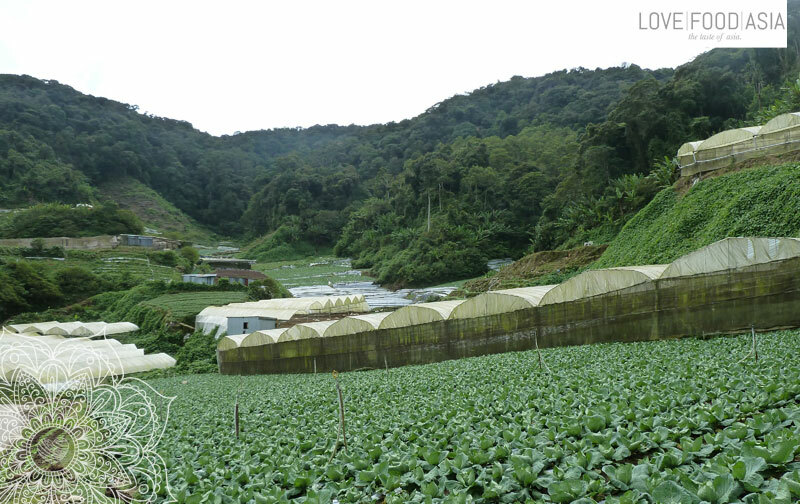 Hiking & Food experiences in Tanah Rata (SEA 12) | Love.Food.Asia. The last day in Tanah Rata started with heavy rainfalls. So we decided to stay with Kassim. He needed a helping hand and we painted the whole staircase. It was totally fun. But not only here Kassim needed a helping hand. There where some phone calls where customers of Kassim tried to fix a date for his homestay. So he gave me the phone and I tried my best to translate and organize for him. In the afternoon the rain stopped and we did another trek around Tanah Rata. Another hitchhike included. We passed many plantations of vegetables and strawberries. On small muddy trails we reached a little village from where we hitchhiked back to Tanah Rata. In the evening I went out for dinner with Kassim. As always I wanted to try everything that makes the local cuisine special. So Kassim ordered for me. First he couldn´t explain what I had on my plate but in the end I realized that I ate bird. He laughed while he was beating his arms and whistling with his mouth. It sounds wired but it was delicious. In the evening we also booked a bus to Georgetown where we planed to meet a local girl my flat mate met in New Zealand a year ago.